Suzuki’s 2019 Jimny SUV caught a lot of attention when the automaker released a few official images of the upcoming car, that was last month. 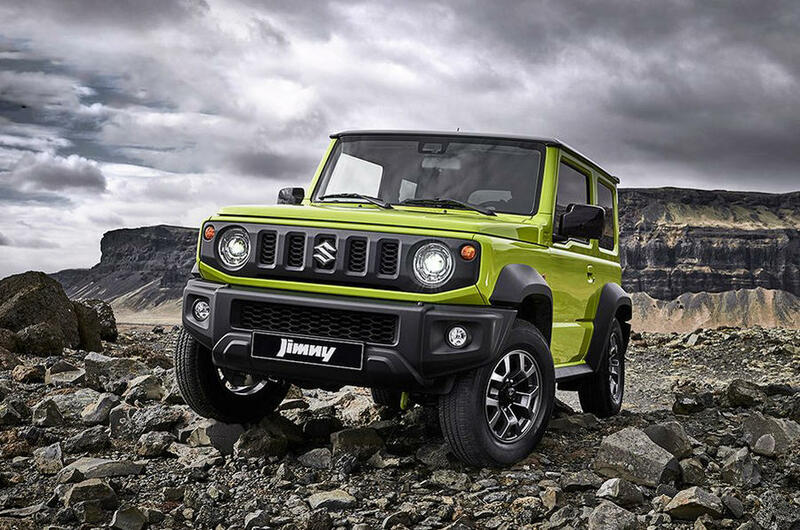 Now, Suzuki has released a whole album of Suzuki Jimny 2019 in its full glory along with information about the safety features and the performance specifications of the boxy SUV. 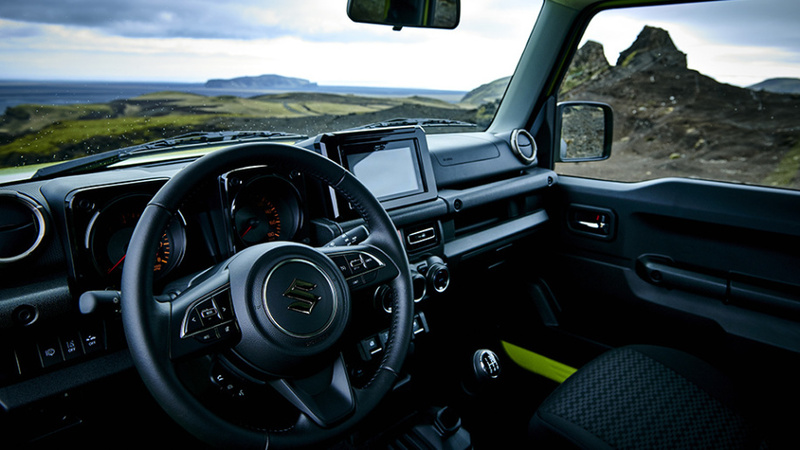 The images cover almost every angle of the Suzuki Jimny 2019 both, from the interior and the exterior so, the looks should completely be out of the question at this point. The performance and safety features, however, are the topic of the hour. 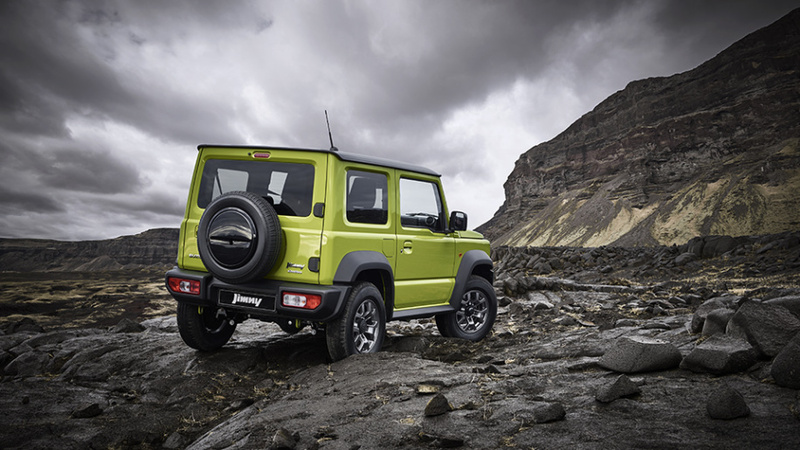 The biggest news in terms of performance features in the new Jimny is that the lone engine options will be more powerful than we were expecting. 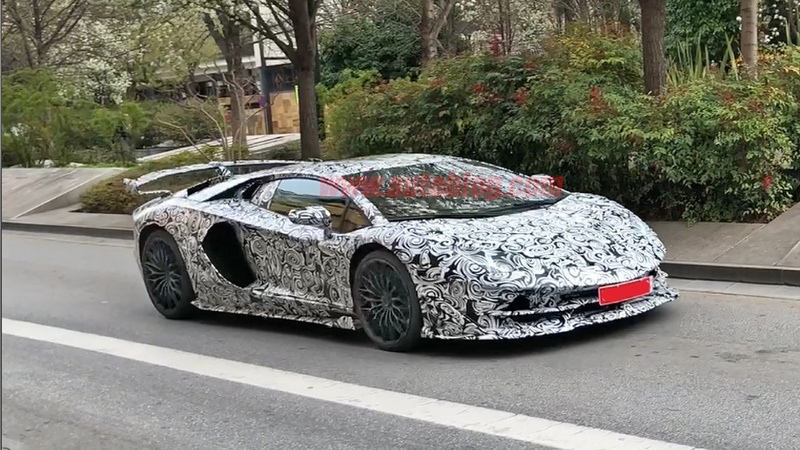 The upcoming SUV will hold a 1.5-liter four-cylinder gasoline engine providing an output of 100 horsepower and about 96 pound-feet of torque. Of course, there are currently no other engine options for the SUV. However, that might change somewhere down the road. 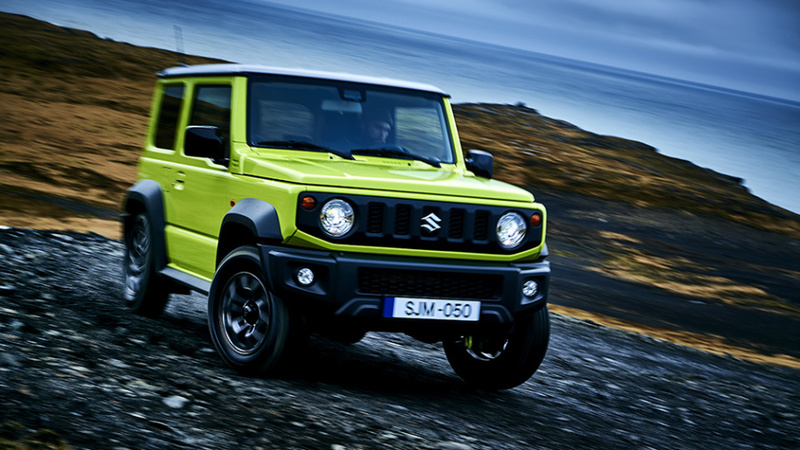 While many were expecting that Suzuki will develop a hybrid engine variant for the Suzuki Jimny 2019, there has been no such word around as of now, so, if I were you, I wouldn’t get my hopes up. The choice in transmissions is an interesting one; you can either go for a four-speed automatic transmission or a five-speed manual one. In any case, the 4WD mode will be available to activate or deactivate via a sperate gear lever. 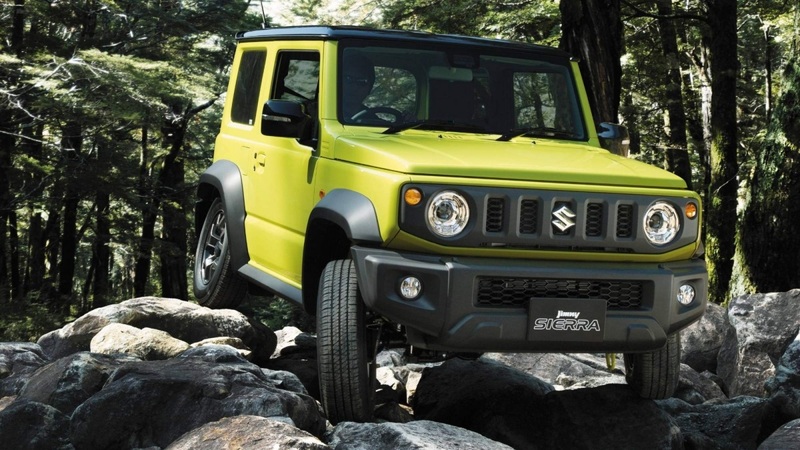 According to recent reports, the curb weight of the 2019 Suzuki Jimny SUV is claimed to be as low as 2,400 pounds. Of course, we promised safety features too. Among the major safety features of the new SUV are a lane departure warning system combined with a weaving alert, automatic emergency brakes, and traffic sign detection. 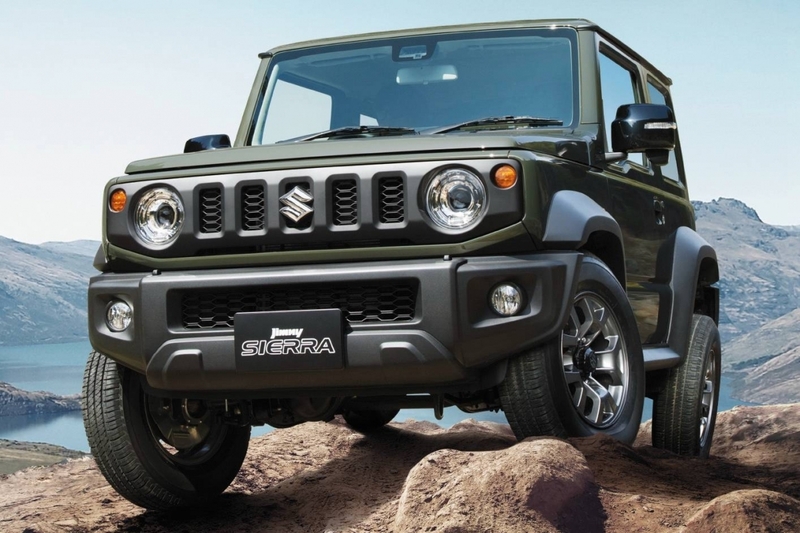 While they may be quite high-tech for a small SUV, but the latter two safety features will rarely be put to use if you are going to drive your Suzuki Jimny 2019 where it is supposed to shine: off-road. The approach angle of the SUV is 47 degrees; its departure angle is 49 degrees while the ramp breakover angle of the 2019 Jimny is 28 degrees. The minimum ground clearance of the SUV is stated to be about 8.2 inches.